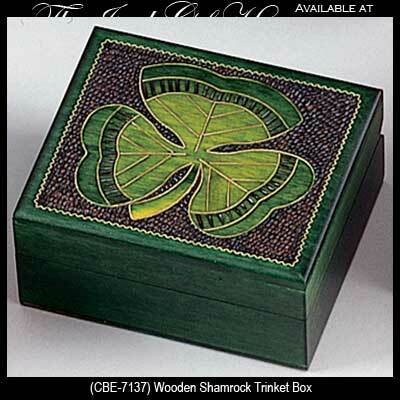 This Irish jewelry box features a shamrock that is carved on the wooden lid. This Irish jewelry box features wooden construction that is enhanced with a carved shamrock on the lid. The wooden Irish jewelry box measures 3 3/8” x 3” x 1 12" tall; no two boxes are identical.